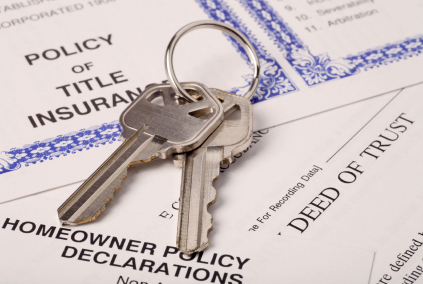 Title insurance is an policy against loss that results from any claims against the property. Such claims include but are not limited to: forgery, fraud, false affidavits, undisclosed or missing heirs, unrecorded contracts of sale, bankruptcies in other jurisdictions, suppressed or undiscovered wills, power of attorney revoked by death or insanity, claims arising by reason of foreign divorces, erroneous interpretations of statues and rules of law, unrecorded easements, false impersonations, insanity and incompetence, and perjury. How does my title insurance policy protect my investment if a claim should arise? If a claim is made against your property, your title insurance policy will provide you with a a legal defense and cover the homeowner for any valid claims up to the amount of the policy (which is usually the purchase price or full loan amount). What is the cost of a title insurance policy? The cost of title insurance varies based on the purchase price of the property. The quick math is about $5 per every thousand. For a full estimate including all related fees, refer to our title insurance calculator. Who typically pays for title insurance? Tradionally, in the state of Florida, the seller pays for the title insurance and chooses the title company. However in the folloing counties, it is tradionally the buyer who pays and chooses the title company: Sarasota, Collier, Miami-Dade, and Broward. Tradition has shifted a bit in 2016, as we see a sharing of title expenses between buyer and seller becoming more and more popular regardless of county. When choosing a title company, your decision should be based not only on the fees that are being charged but also on the ability to get the closing done properly and on schedule. We invite you to learn more about how competitive our title fees are and how successful our closing performance has been over the years. Donna Hearne-Gousse is an experienced real estate attorney with an experienced staff of dedicated title processors and closers. Our law office and title company is located in Royal Palm Beach and provides complete title and closing services throughout Palm Beach and Broward counties. Are Buying Short Sales Worth It?